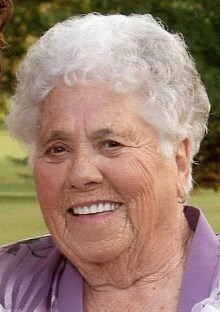 Home Obituaries Notices Kathryn “Kay” (Kenefick) McPhillips, R.N. Kathryn “Kay” (Kenefick) McPhillips, R.N., 90, a member of a well-known Lowell family, and of Deltona, FL and Hampton Beach, NH, died Tuesday, May 1st at D’Youville Senior Care Center in Lowell. She was the beloved wife of the late Francis P. McPhillips who died in 1985. Born in Lowell, Massachusetts, November 3, 1927, the daughter of the late Archie E. and the late Margaret (Sullivan) Kenefick, she attended the Academy of Notre Dame Grammar School and was a graduate the Academy Notre Dame in Tyngsboro. Eager to pursue a career in nursing, she then went on to graduate from St. John’s Hospital School of Nursing. Before retiring, Kay was employed by the City of Lowell Health Department as a school nurse. Among her many activities, she loved the beach and spending time with her family. She was also a member of the Lowell Senior Center. Kay is survived by a daughter Joan Nunes and her husband John of Deland, FL; three sons Paul McPhillips and his wife Geraldine of Dunstable, MA, Gary McPhillips and his wife Susan of Lowell and Brian McPhillips and his wife Paula also of Lowell; a daughter-in-law Sandra McPhillips of Deltona, FL; twelve grandchildren Michelle Roun and her husband Nick, Katie Nunes, Lauren McPhillips, Julie McPhillips, Kelly McPhillips, Jillian Ninteau and her husband Michael, Sean McPhillips, Colleen Ofray and her husband Angel, Patrick McPhillips and his wife Kim, Daniel McPhillips and his wife Erin, Adam McPhillips and Maura McPhillips; thirteen great-grandchildren; and several nieces and nephews. She was also mother of the late John “Jack” McPhillips who died in 2000. Friends may call at the O’DONNELL FUNERAL HOME 276 PAWTUCKET ST. at Fletcher from 4 to 8 P.M. on Friday. Relatives and friends are invited to attend her Funeral Mass to be celebrated on Saturday morning at the PARISH of ST. RITA CHURCH, 158 Mammoth Road in Lowell at 10 o’clock followed by burial in St. Patrick Cemetery. E-condolences at www.odonnellfuneralhome.com. Those wishing may make contributions in her memory to the Academy of Notre Dame, 180 Middlesex Rd., Tyngsboro, MA 01879. Arrangements by Funeral Director James F. O’Donnell, Jr. (978) 458-8768. Soo sorry to read of Kathryn's passing. We were very good friends and classmates at NDA Class of 1945. She will be in my prayers. Condolences to all her family. so sorry to read of Kathryn's passing we were very good friends and classmates at NDA class of 1945. Condolences to all her family She will be in my prayers. 2018-05-04 09:13:42 | Jenifa Lemire - Bless her heart! McPhillips Family: Hold tight to memories for comfort, lean on your friends for strength, and always remember how much you are loved and cared about. Although it's difficult today to see beyond the sorrow, may looking back in memory help comfort you tomorrow. May the love of those around you help you through the days ahead. Thoughts and Prayers with you all. During my 40 summers to Hampton and countless interactions with Kay I can’t think of a single one that didn’t put me in a good mood. We were better for having spent time with her. Abby and I will say a prayer and smile as we sit on our porch thinking of her. We will pretend there is an ocean breeze. We extend our condolences.